(also known as the Northern Life Tower) is located at 3rd Avenue and university Street in Seattle, Washington and was completed in 1929. 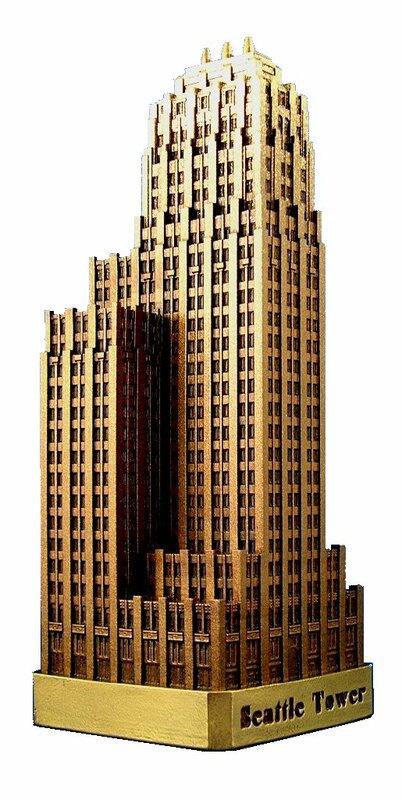 This building was designed by Albertson, Wilson and Richardson and stands 310 feet tall with 27 floors. Originally planned to have 24 floors, three more were added so that it was one floor higher above sea level than the Smith Tower. This pewter replica stands just over 7 inches tall and is finished in medium antique bronze with gold highlights.